There is something that a great business mind and a child’s mind share: They explore. They experiment. They try. They fail and they try again. That’s the way they learn and grow. 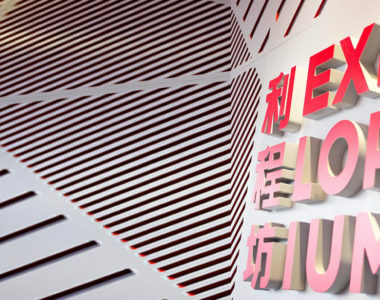 Explorium is a collaboration between Fung Retailing and the Fung Academy that engages all business units of the Fung group and operates with a similar mindset. A laboratory for the rapid-testing of omnichannel business strategies, Explorium is akin to a playground for visitors, participating retailers and fellow creators. But what makes this playground distinctively fun and fruitful is the boundless creativity and sophisticated methodology behind the concept. Explorium’s nearly 60,000 square feet mall-like environment in the heart of Shanghai is specially designed for experiments no different from real-life shopping experiences, except more innovative. With a designated interactive exhibition space and workshop area, the omni lab’s use of space is conceived in collaboration with Pico Group, leading player in exhibition and event management. The design encourages participation of the visitors and serious play of the inventors. “It’s partly entertainment, it’s partly research and it’s partly retail,” describes Simeon Piasecki, Director of Explorium. Retailing today is not only about transaction but also experience. Sometimes, the latter matters much more. Moreover, technology is revolutionizing what, where, when and how people purchase. With the next billion of tech-savvy, vibrant consumers emerging, China is the ideal place to test out new possibilities and grasp retail trends online and offline. “Everything in China is moving so quickly and changing so rapidly that what we experiment and learn today is really history tomorrow,” says Simeon. Witnessing new ideas, new technologies and new relationships being created daily, Simeon considers the present ‘fantastically exciting time’, which fills consumers with endless awe and wonder. Yet, it also gives brands and retailers a challenge in finding out which one of their initiatives is sustainable for the longer term. No one knows what lies in the future of retail. While the future can’t be predicted, its potential can be explored and validated by observation, interaction and analysis. 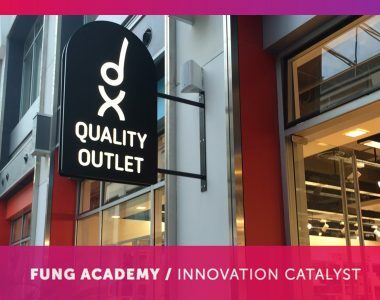 Creating a climate of experimentation, the Fung Academy plays the role of an igniter to inspire creators and retailers to come up with daring ideas. Like an inquisitive child, we ask questions, we doubt assumptions and we welcome the unexpected. Every force has an opposite equal force and so if you do something and you make it happen, other things will change around it. Like many schools of science, the science of retail in Explorium bears no preconceived ideas. This allows the Fung Academy to aid retailers to discover untapped possibilities when formulating hypotheses. At the same time, the Fung Group’s knowledge of current trends and expertise in various channels help conduct minimum viable experiments and devise meaningful metrics. This enables retailers to perform bold experiments with minimal risk. Explorium’s visitors are more than just consumers. While they are welcome to purchase, they are also here to look for a unique retail experience for themselves and their family. Explorium runs an exclusive membership by referral, which means members are already interested in what they are going to see. While visiting members are interacting enthusiastically with the environment, their activities and purchase behavior are traced. The data are analyzed in detail with IBM’s pioneer retail technology. 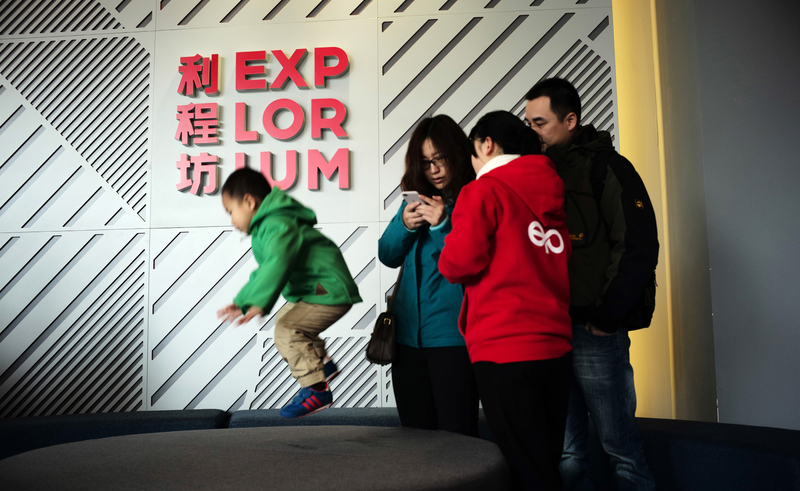 With the aid of the social media, Explorium’s membership is expanding organically from the families of the Fung Group to the middle-class families around Shanghai and beyond. 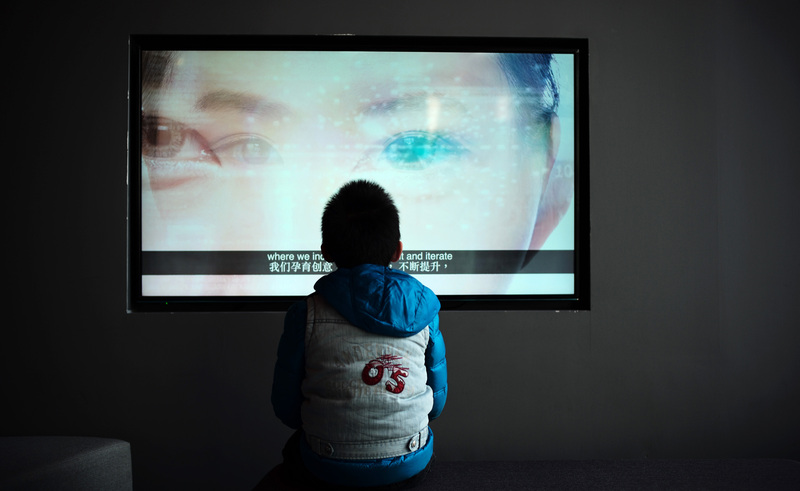 With China’s long history of a one-child policy and the newly implemented two-child policy, the child has always been the focus of the family in the eyes of the parents, as well as both pairs of grandparents. It came rather naturally that Explorium’s initial target sector is children and families. With China’s long history of a one-child policy and the newly implemented two-child policy, the child has always been the focus of the family in the eyes of the parents, as well as both pairs of grandparents. Creating an imaginative retail experience for the young audience is as fun as it’s challenging. After all, a child’s reaction never lies. For instance, you seldom hear children begging their parents to bring them to a kids’ fashion store. It’s even rarer to see children dragging their parents into the fitting room – simply because trying on clothes is no fun. To most parents, getting their children to try on a garment without stepping into a fitting room is a pipe dream. But Fung Kids begs to differ. A retail partner of Explorium, the premium children fashion maker has created virtual mirrors, ‘Catlook’, to enable visitors to ‘try on’ their products virtually in all the available colors within seconds. “Catlook is an interactive experience that makes fitting easy and fun. By just waving their little hand, children can ‘try on’ the latest fashion from Fung Kids brands, Toonsland and Petit Bateau. While appealing to children, this can also relieve parents of concern about their children being unwilling to try on clothes,” explains Nelson Fang, Fung Kids Managing Director in China. Catlook also allows relevant product recommendations to create more opportunities to upsell. Children are also able to share their images in the latest fashion on social media. “We discovered that through technology-based interactive games, children are more willing to try on the shoes and clothes than they used to. They in turn get more interested in the brands and the products of Fung Kids,” says Nelson. Another successful experiment of Fung Kids is ‘Stride Rite Kiki Moves’. 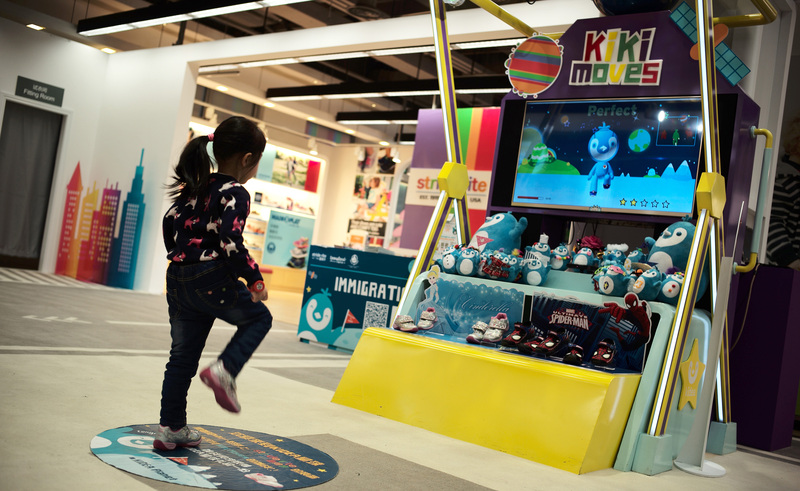 The Fung Academy helped transform a retail experience from pure consumption to participation by creating an environment where families can co-create a sense of accomplishment: children play a dance game when they are trying on a pair of shoes. The interactive experience gives children incentives to try on Stride Rite’s shoes when they pass by the store. “We discovered that through technology-based interactive games, children are more willing to try on the shoes and clothes than they used to. They, in turn, get more interested in the brands and the products of Fung Kids,” says Nelson. Part of our philosophy is to experiment quickly, take the learning and then move forward. Explorium allows us to do that in a controlled environment and its absolutely synergistic with our thinking and how we operate. Before developing hypotheses for the experiments, the Explorium team spoke with many Chinese families from various backgrounds to understand their needs and concerns. 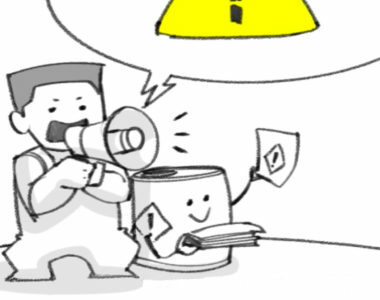 The potential customers consist of both tiger parents and panda parents. The former would see play as evil, whereas the latter would pamper their children with toys. Hence, one of the questions asked is: how might we change the stigma that toys are only a reward mechanism for learning and development rather than a means for learning and development? The question has given birth to ‘Creative Learning Zone’ for a major toy retailer, turning entertainment into edutainment. 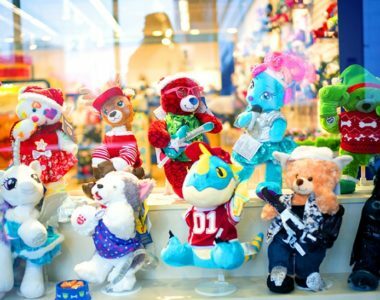 Toys from the retailer are curated according to different types of learning, from creativity to math. 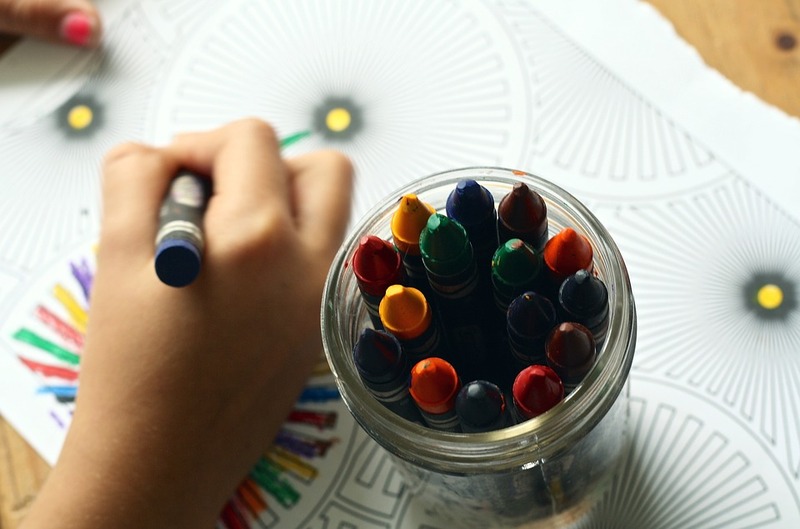 In this environment, children can develop life skills through play, whereas parents can learn about their children’s hidden talent or interests. From the experiment, we learned that parents welcome the support and appreciate a place that enables them to become better parents through bonding. “The retailer is just a backdrop to this,” says Simeon. “What I particularly enjoy is the opportunity to see the parents and the children doing things together, learning things together and us providing that sort of stage for them to do it.” The retailer shares a similar vision with Explorium. “Part of our philosophy is to experiment quickly, take the learning and then move forward. So Explorium allows us to do that in a controlled environment, which is absolutely synergistic with our thinking and how we operate. It now gives us a great platform to structure our experiments and measure the results,” says Jo Hall, Regional General Manager, Merchandise & Marketing of the account for Greater China and Southeast Asia. 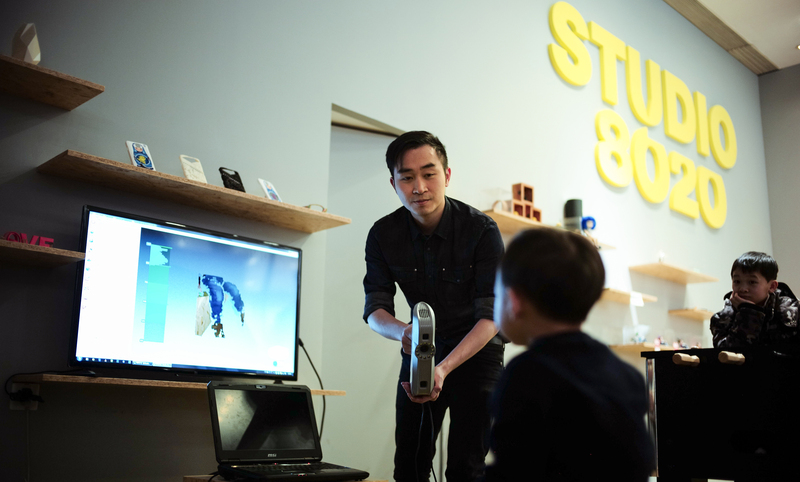 One of the major contributors to the prototyping in Explorium’s experiments is Studio 8020, a joint project with LF Products, which conducts Fung Academy’s manufacturing research. Studio 8020 informs and inspires businesses to explore new manufacturing opportunities in the digital age. Founded with the belief that we are moving into a world where 80 percent of products within the supply chain are mass-produced and 20 percent are made customized and on-demand. Their studio inside Explorium is their first consumer-facing experience where they offer a platform for product customization while making experiments cheaper, easier, faster and better. The studio is the creator behind Explorium’s best-seller: a customizable remote-controlled go-kart. In general, people are positively surprised to see a maker culture in a retail setting, which enables them to shift from buying the ordinary to creating something truly unique and meaningful. I don’t know where Explorium will be in 10 years. All I know is that the speed and the pace of change and new initiatives will continue as long as we can see. More often than not consumers are not aware of what they want or what they might like until they see something new or different. Hence, it’s the job of Fung Academy and Explorium to show consumers better options, which would otherwise be considered nonexistent. So, where does the Director of Explorium see the omni-channel lab in 10 years from now? “I can’t answer that. I don’t know where Explorium will be in 10 years. All I know is that the speed and the pace of change and new initiatives will continue as long as we can see,” says Simeon. “Technology in retail is only at the very starting point. And therefore, the requirement to have somewhere to test and research these new technologies will carry on being an important part of a retailer’s R&D. I can see no end of that change.” Hence, we must keep experimenting and stay as curious as a child.